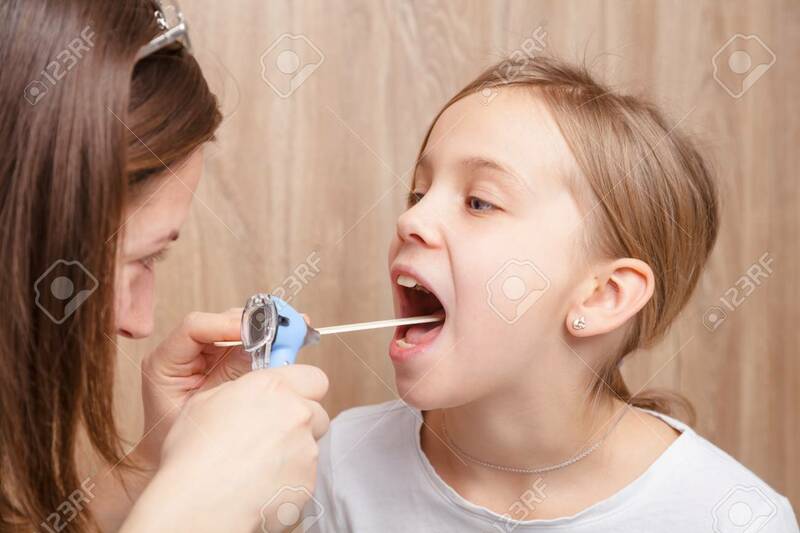 Female Pediatrician Or Health Care Practitioner Examines Elementary Age Girl's Throat Using Wooden Tongue Depressor And Torch. Child Physical Examination Concept Lizenzfreie Fotos, Bilder Und Stock Fotografie. Image 113611003.